These website terms and conditions as amended by us from time to time to govern your use of our website, FoodHow.com and any other services (including online community message boards ( forums) and blog. By using our website and services, you are agreeing to these terms, whether you are just browsing (a “Visitor”) or whether you are a registered user (a “Member” or “Subscriber”). Please stop using our website if you do not agree to these terms. We reserve the right, at our discretion, to change, modify, add, or remove portions of these Terms And Conditions at any time. Please check these terms periodically for changes. Your continued use of the FoodHow.com website and service following the posting of changes to these terms will mean you accept those changes. You can always check out the most current version of these Terms And Conditions at this page. In addition, when using particular FoodHow.com service, ( FoodHow.com Main site, Community, Forums, Blog, Advertising ) you shall be subject to any posted guidelines applicable to such services, including any rules and any terms or conditions applicable to FoodHow.com services provided in conjunction with any of web content and service partners. 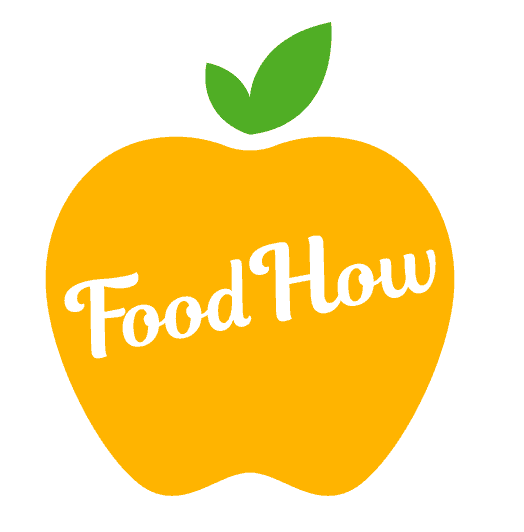 FoodHow.com is a multi-purpose service website which allows you to use or access many different products, services and information including advertising, search services, news, information, private messaging and a broad range of other content. These Terms And Conditions apply to all FoodHow.com services as well as any new products or services that we may add in the future (unless stated otherwise). By using Our website you agree to be legally bound and to abide by the Terms And Conditions. If you do not comply with the Terms And Conditions at any time, We reserve the right to terminate your access to the FoodHow.com site and services. We may discontinue or alter any aspect of our website and services, including, but not limited to, restricting the time our site is available, restricting the amount of use permitted, and restricting or terminating any user’s right to use our website and service, at our sole discretion and without prior notice or liability. You are responsible for all charges associated with connecting to our site and service. When you use Our website and services, You Agree that our servers may collect information indirectly and automatically about your activities while visiting the site, including the web pages you view and the times you view them and information about the browser you are using. By posting or submitting content to this site including comment and replies, you grant Us the right to use, reproduce, display, perform, adapt, modify, distribute, have distributed, and promote the content in any form, anywhere and for any purpose; and warrant and represent that you own or otherwise control all of the rights to the content and that public posting and use of your content by Us will not infringe or violate the rights of any third party. FoodHow.com may provide, or third parties may provide, links to other websites, including affiliate links and advertisements. Because we have no control over such sites and resources, you acknowledge and agree that We are not responsible for the availability of such external sites or resources, and does not endorse and is not responsible or liable for any Content, advertising, products, or other materials on or available from such sites or resources. You further acknowledge and agree that FoodHow.com shall not be responsible or liable, directly or indirectly, for any damage or loss caused or alleged to be caused by or in connection with the use of or reliance on any such Content, goods or services available on or through any such site or resource. 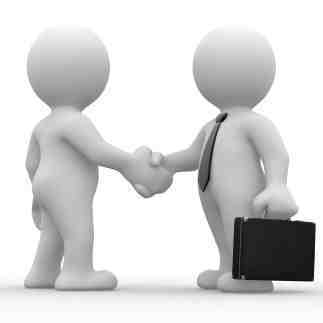 Promotional Codes and Sales and Discount Coupons Vouchers. Any promotional or discount coupon, code or voucher can be withdrawn or cancel at any time. We make any effort to maintain Our website and service, but We are not responsible for any defects or failures associated with the Our website or service or any damages (such as lost profits or other consequential damages) that may result from any such defects or failures. In addition, We make no guarantees as to the sites and information located worldwide throughout the Internet to which you may access as a result of the use of Our website and service. We make no warrants that Our website and service will meet your requirements, that will be uninterrupted, timely, secure or error-free That the results obtained from the use of Our website and service will be accurate or reliable or that the quality of any products and services or information and other material obtained through our website and services will meet your requirements. You can generally visit our Website without revealing any personally identifiable information about yourself. However, in certain sections of this Website, we may ask you to submit personally identifiable information such as your name or business name, email address, and your address and phone number. To help protect the confidentiality of your personal information, We employ security measures appropriate to the sensitivity of the information. Nevertheless, security and privacy risks cannot be entirely eliminated and We cannot guarantee that your personal information will not be disclosed in ways not otherwise described in the Terms And Conditions. You agree not to divulge your password to any other person. You are responsible for maintaining the confidentiality of your password and will be fully responsible for all liabilities arising in connection with your password’s use (or misuse), whether such use or misuse is with or without your knowledge or approval. If you suspect that someone else knows of or is using your password, you must notify us immediately by emailing us. We have the absolute discretion to cancel your username/ password at any time if we suspect it is being used by an unauthorized person. We do not disclose personal information to third parties in the normal course of operations unless you specifically ask us to do so. Under certain circumstances, however, we could be legally obliged to disclose information to the government or other third parties and if FoodHow.com becomes part of another organisation, that organisation will possess the personal information collected by FoodHow.com and it will assume the rights and obligations regarding your personal information as described in this Terms And Conditions. You agree that We reserve the right to terminate your password, account or use of Our website and service, and remove and discard any Content within Our website, for any reason, including, without limitation, for lack of use or if We believe that you have violated our terms and conditions. We may also in our sole discretion and at any time discontinue providing the Service, or any part thereof, with or without notice. You agree that any termination of your access to the Our website and service under any provision of this Terms And Conditions may be effected without prior notice, and acknowledge and agree that We may immediately deactivate or delete your account and all related information and files in your account and/or bar any further access to such files or Our other service. Further, you agree that We shall not be liable to you or any third-party for any termination of your access to the Our website and services. We respect the intellectual property of others, and we ask our users to do the same. We may terminate the accounts of users who infringe the intellectual property rights of others. If you believe that your work in any part of our website has been copied in a way that constitutes copyright infringement, please contact us immediately. We may assign our rights and obligations under these Terms and upon such assignment, we shall be relieved of any further obligation under these terms. You are not permitted to assign your rights and obligations under these terms. If you have questions about these Terms And Conditions, please contact us.